Create a homely atmosphere by introducing this fantastic media unit. It has a gorgeous Westbury design which consists of a simplistic yet modern design. It has 2 drawers and 1 large shelf for practicality, as well as a large surface on-top. 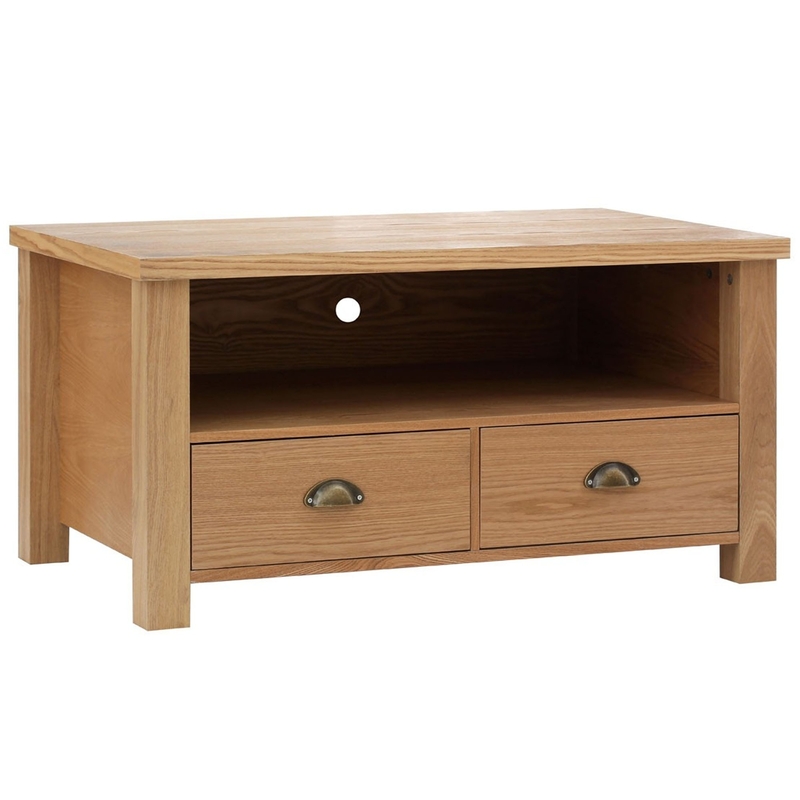 This media unit is created out of an oak veneer to add to the homely style.